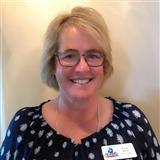 As a Florida resident for over 28 years and over 20 years’ experience as an appraiser, realtor, project manager and acquisition manager, I can be your local and state-wide real estate expert. I have a degree in Education from Central Michigan University and am by nature an educator, researcher and mentor. As an appraiser, with greater than 6,000 residential appraisals completed, market knowledge and valuation is paramount. While VP of acquisitions for the world’s largest residential private equity company, Blackstone, I managed the purchase of over $330 million in single family residences in northeast Florida. I have experience advising investment purchases and directing renovation and maintenance.